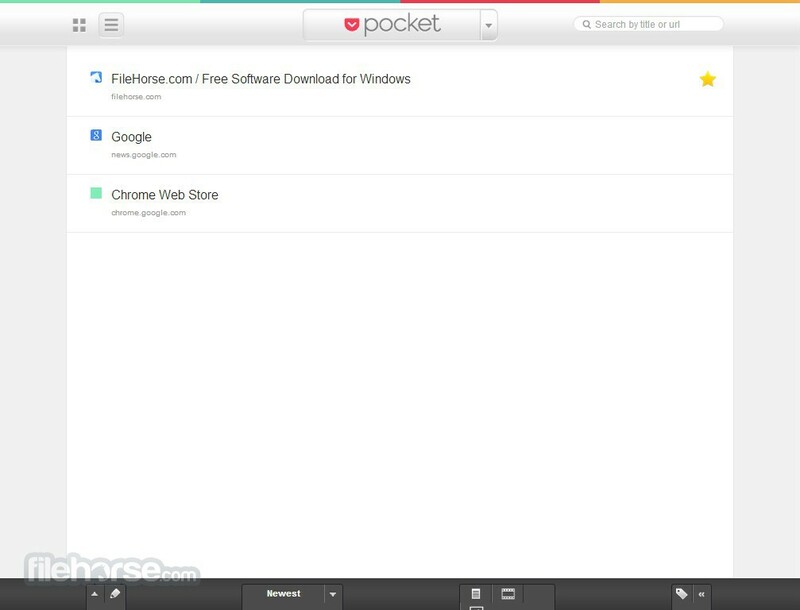 Pocket (Formerly Read It Later) is an innovative productivity, office and business tool that enables to save webpages, articles, videos or any other internet location to a centralized safe which can be accessed from all modern and internet enabled computing devices and operating systems such as Windows, Mac, iOS, Android and Kindle Fire. Pocket is a cloud powered service that takes advantage of the wonders of modern internet infrastructure, enabling you to always be in contact with your own document, webpage or video database. You can save information from your browser, or directly from over 300+ applications which have adopted pocket as an official service for storing data. With over 7 million users and over 350 million of saved items, Pocket definetly represents one of the most popular services for saving, managing and accessing internet items. Give it a try, it’s absolutely free. 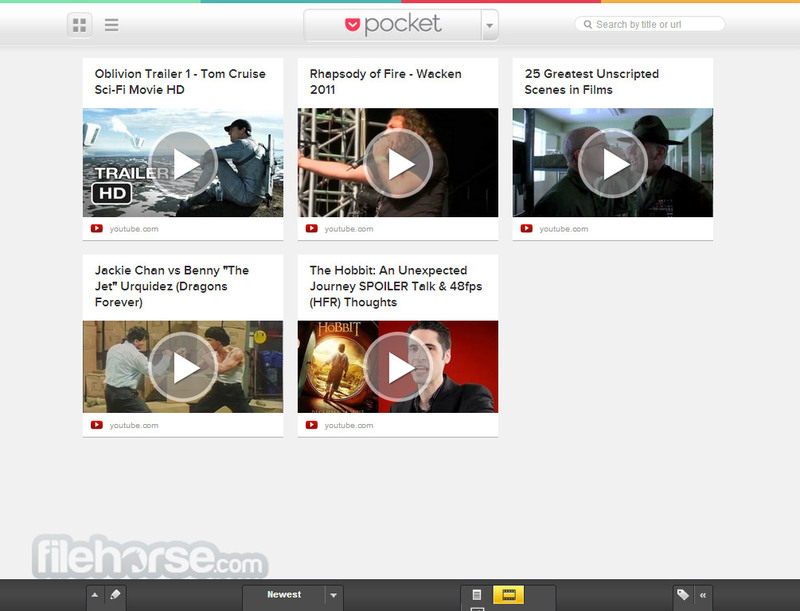 Pocket (originally known as Read it Later) is regarded today as one of the most popular and easy to yse bookmarking services on the internet, enabling more than 10 million users to effortlessly gather internet URLs into their own customizable database, no matter what modern computing device (desktop or portable) or operating system you are using. The crowning feature of Pocket is not just its ability to gather URLs, but also saving those entire pages on your Pocket account and syncing that data across all your devices, enabling you to access all your bookmarked pages in full even if you don’t have internet connection active at that time. 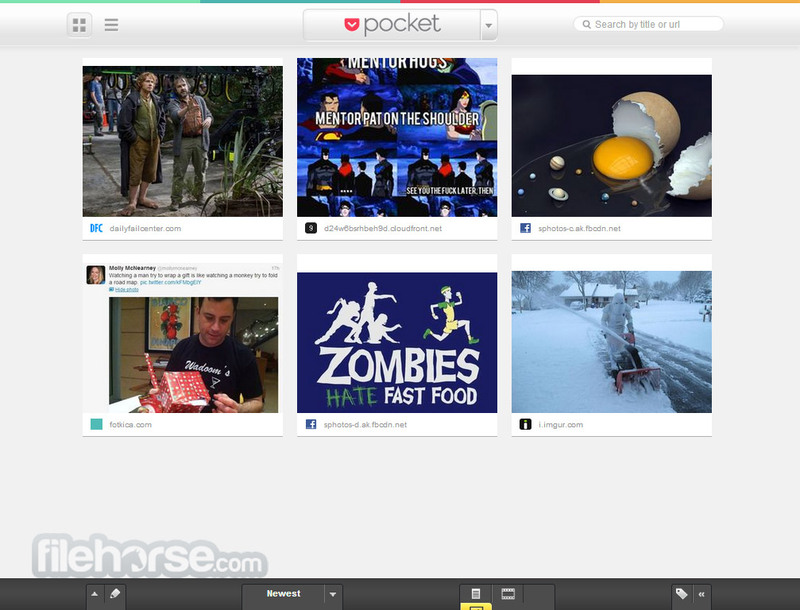 With list of features that grew from the moment Pocket was introduced in 2007 by developer Nathan (Nate) Weiner, this service managed to receive tremendous praise from media, developers and users. The main feature of Pocket is its ability to grab the entire web page that you have found during your daily browsing (interesting blog post, page of an internet forum, YouTube video, research paper, …), and save it for later reading and sharing with friends. Almost everything can be bookmarked with one click or touch of your finger, saved for later use, and then re-discovered and consumed later on whatever device you own. Pocket entries can be assigned with tags, so that you can easily manage them and search them. The process of bookmarking requires you either to use small bookmark lett hat you can press on any page, which will automatically add page into your account, all modern desktop browsers have plugins and extensions for Pocket, mobile devices (iOS, Android, Windows Mobile and Blackberry) have their own native apps that integrate pocket bookmarking into mobile browsers, and more than 300 additional applications have taken advantage from Nathan Weiner’s APIs to integrate Pocket services into their own. If you are trulyold-school, you can also add bookmarks by manually sending an email to Pocket’s inbox (address: add@getpocket.com, Subject: Desired name of your bookmark, Body: URL of your bookmark). Please note that you must send that email from the email account that you have used to register to Pocket. Interface of pocket is modern and slick, managing to look and feel better than its closes competition of Instapaper. When you login to GetPaper.com you will be welcomed with the view of your saved articles, represented in thumbnail list that you can sort in few different ways (grid, different sizes, several sorting options, and ability to filter out only articles, videos, and images). For each article, you can change font size, and turn on/off night mode for easier reading. UI if pocket is scalable on all display sizes, ranging from PC monitors to small smartphones, enabling you consistent experience and easy access to all your saved URLs. Registration for pocket is very easy and quick, asking from you only your valid email address, username and password. Logging via Facebook and Twitter credentials is not possible. Pocket does not require you to pay anything to sign up, all of its features are available for everyone for free, and there are no premium accounts or in-site purchases. Pocket truly represents on one of the best bookmarking services you can find today, especially if you are a user that likes to have physical copies of your bookmarked destination on all your devices. 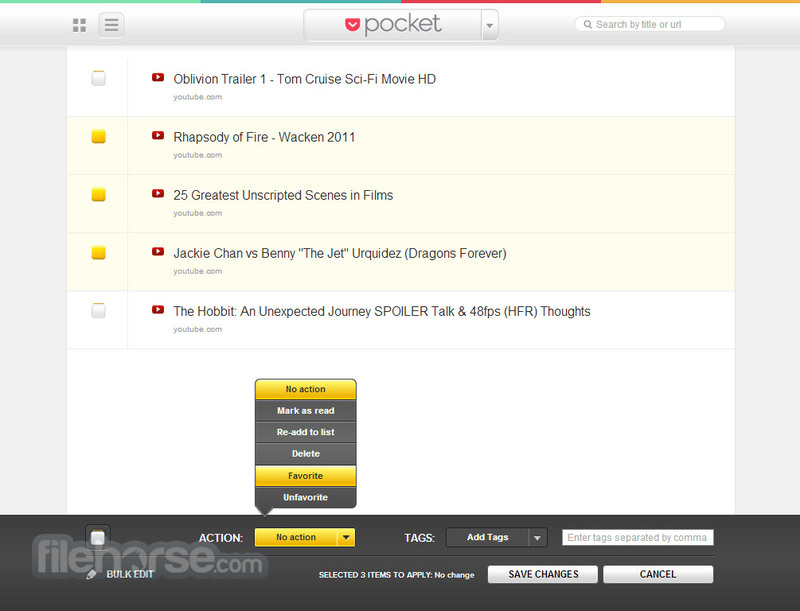 With easy use, nice interface, and perfect syncing, Pocket has to find place in your browser or portable device.